Just a mile down the road from the dairy, tucked away in a five-acre woodland among the surrounding farmland, also owned by the Hardy family, is the Wild Boar Wood Campsite. 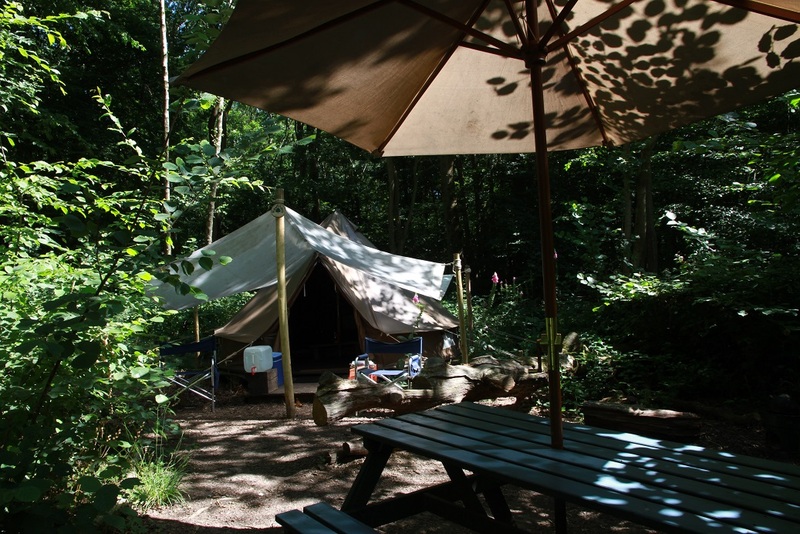 Operated by Sussex-based Eco Camp UK, Wild Boar Wood has nine bell tents set up among the trees offering a “wild glamping” experience. It’s a great place for nature lovers and families to get back-to-basics as the site is off-grid and allows campfires. 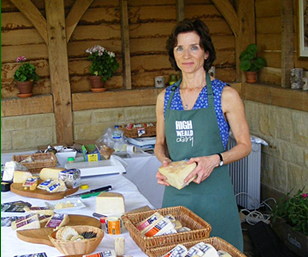 It’s also the perfect place to try our halloumi cheese grilled over the fire, just a mile from where it was made! The “wild glamping” experience offered at Wild Boar Wood offers the chance to feel that you are really getting back to basics but without having to pitch your own tent. Bell tents are pre-erected and each has a futon-style double bed and fold-out mattresses for children or extra adults too as well as cooking equipment and tableware. Outside each tent is a firepit area, grill, eco stove and a picnic table. The campsite is tucked away in Wild Boar Wood but is surrounded by a 40-acre field which offers views of the surrounding High Weald countryside up to Tremains Farm and of passing steam trains on The Bluebell Railway. For more information on Wild Boar Wood visit the Eco Camp UK website.